Description: Suede features twenty-four colors scaled from the understated netural and taupes to the bold, warm contrast colors. Suede gives a distinctive appearance of beautiful velvet...a soft brushed sensation. Each color has clarity of strength. Suede has a sophisticated foundation for a blend of furniture styles in your home. It combines a wool-like luster with the advantages of DuPont® Optique nylon. 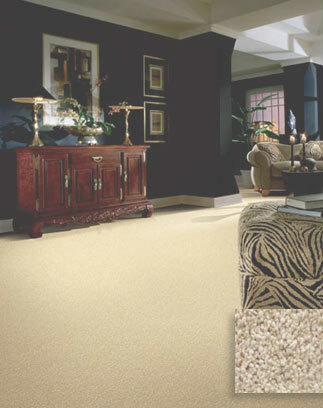 Suede is constructed of DuPont® Stainmaster® Grand Luxura™ fiber.